For so long, I struggled with the feeling of loneliness. Not in all situations, as I am not at all lonely in my marital relationship. My husband and I enjoy a wonderful marriage. I also have an amazing mother that is there for me in everything. But a girl still needs her girlfriends. I've blogged before about feeling as if I didn't have any really close friends - ones I could call on for anything. My best friend growing up (who is and always will be like family to me) is on the other side of the country almost and my other bestie is in northern Florida. I don't see or talk to either one as often as I'd like and I honestly didn't have any friends close to my age that lived nearby. I am part of an amazing church full of incredible Godly women but I still just hadn't found friends that felt close enough to tell anything to - - - until now. God has blessed my life with some incredible women who each have amazing spirits. 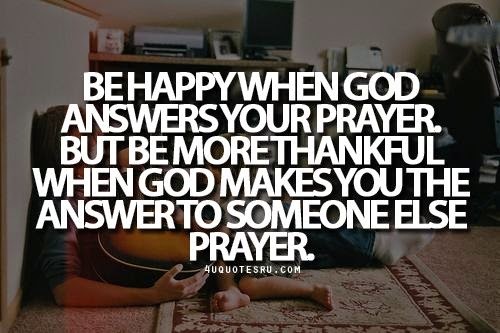 He has answered a prayer that I have prayed multiple times and a prayer that has been on my heart for a few years. I never expected that 7 or 8 weeks ago, I would be able to call this group of women by best friends but I can honestly say that's what they've become. When I look at how we interact with one another, I honestly have never been a part of a more God-honoring friendship than what we have between us. Not only do we study the Bible together, we pray together and for each other. We intercede like crazy on one another's behalves. We "break bread" together (meaning we stuff our faces every Monday together-lol!). We bear each other's burdens so that the tough times of life are easier to handle because we have each other. We rejoice with each other in our celebrations. And though it might be tough at times, we are blatantly honest with one another. This is exactly how the Bible tells us to do life together and that's how we do it...every day. I know without a doubt that these girls will be there when I need them. I can call on any of them at any time and I know that they will come to my aid either by prayer or physically dropping what they are doing and coming. And I would do the same for each of them. I'm also extremely grateful for a husband who is happy that I've found this group of girls to share our lives with. They're crazy but he loves them and actually enjoys having them over. The two of us have grown so much in the Lord this year. He is teaching us new things every day and is chiseling away the junk that is not of Him. Sometimes that chisel hurts - but it is necessary for growth in Him. At the beginning of the year, we felt like this year was going to be different than the rest in so many ways: spiritually, financially, physically. We're already seeing big changes and we're ready for anything God has in store for us. Without a doubt, I have a loooooong way to go before I am anywhere NEAR where I want to be in the Lord, but I'm working on it every day. But words cannot express how grateful I am for this one answered prayer He has seen fit to bless me with. He is a great God - - - none can describe. These girls were the answer to my prayer! I've been thinking a lot about this topic lately. While I am generally a realist who knows that many of the things that I desire to do will never happen, I still have "dreams." 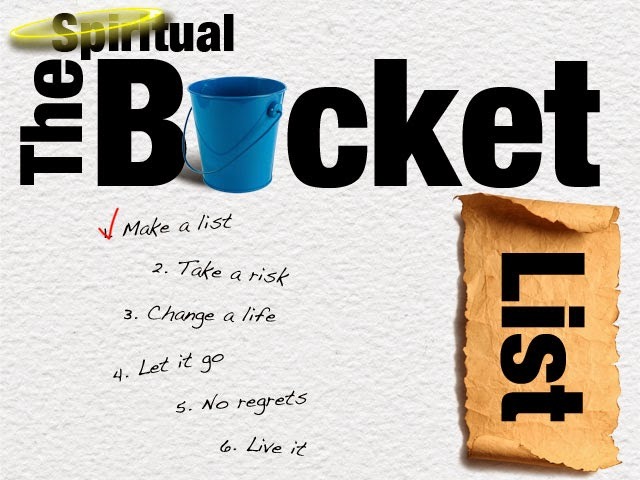 But in my quest to go deeper with Christ and really follow after Him, I have come to what might be a startling conclusion for some: God really doesn't care so much about my bucket list - you know - the list of things I want to do before I "kick the bucket." Does God care about the small details in our lives? Yes! Does He care about the things that we care about? Absolutely! But there is a line drawn and many of us never notice it. At this point, I'm thinking it might be of importance to back up a few paces and clear this up a bit. I would dare say that it depends on what is on your bucket list. Because, I know some people and their bucket list has nothing but Kingdom work on it and I would venture a guess that He would be ALL about that bucket list and your desire to do His work. But what about the other less "Kingdom-y" goals? There are more on this bucket list of mine and are any of them wrong? No. There's nothing wrong or sinful about these particular items. But when I look at them, I don't see anything in them that would advance the Kingdom. And if it's not benefiting the Kingdom, I'm not entirely sure God will see fit to carry them out. ---Insert 1.5 week break here where I didn't work on this blog because, well....life! In the last 6 weeks, God has turned my life upside down. He has begun to break my heart for what breaks His in ways I cannot even begin to describe. He has flip-flopped my priorities, trampled my own desires, and chiseled away the more hidden sins I carry. My ultimate goal has changed drastically and that is that my desires would begin to match His. That's all I really want. Would I do all the things on the list above if given the time, money, and opportunity? Probably. But if none of those ever happen, I am perfectly fine with that. As long as I have followed the will of my Father and sought Him with all of my heart, I will have accomplished the greatest bucket list item of all - to become more like Him and less like me. That's all I really want. I want to resemble my Father more than myself. So, I really don't think God cares as much about my aforementioned bucket list. Does that mean He won't provide an opportunity for me to cross one or more of those items off my list? No. He very well could. But I don't think any of those are His goals for my life either. He has a much bigger and better plan and I am all about THAT! -Following Jesus means taking risks so if you're following Jesus, you're currently accomplishing #2. -Changing lives is what following Jesus is about...making disciples. It's the great commission in 3 words. -Letting go is forgiveness. Enough said. -You'll stumble and fall and do stupid things but God works all things for good so, no regrets people. -Live out your faith. Live it and all the rest will fall into line. So, what's on your "bucket list?"